This entry was posted in Parenting and tagged birthday, Blogging, gym, health, Humor, Life, motherhood, sports, stay at home mom, triathlon. Bookmark the permalink. Too funny … I write blog posts in my head when I’m walking my dog. By the time I write them down, somehow they seemed funnier when I was doing my own version of the stand-up. LOVED this one … and I put my vote in for this phase name: Turn in to a Bad Mofo Before I Turn 40. I thought this blog was funny! Maybe It’s because my husband is all about tris and wanting to participate in one this year. Check out Wattie Ink on Facebook. The woman that is part of their team is a total tri badass with tattoos. I think he has a crush on her. Very funny. I particularly like the pic. Recently my husband began to read my blog. He was all up in arms that I made him a year older in one of my posts. I explained that it was a typo — but he was unsatisfied by this explanation. So, then, he began to pick apart other “facts”. Needless to say, it was a long night. Really. Did you have to get a lime green one? You look like a ripe snap pea. I thought of you when I wrote it. And I might have snickered. ;) And thank you, love. 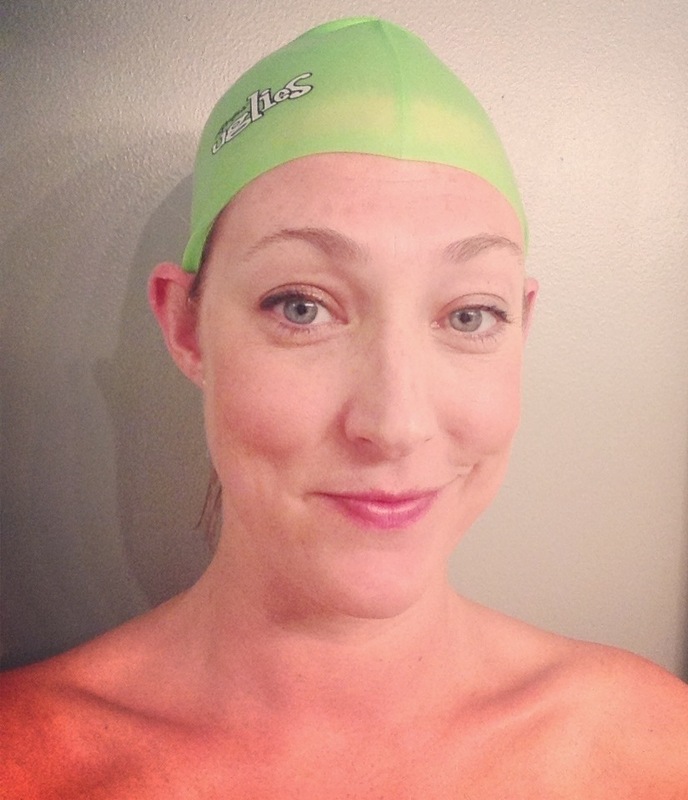 I would totally go on a mom date with you…even in that swim cap. This post was just awesome. It made my whole day. You need no poetic license in order to make me laugh. In fact, you talking about poetic license made me laugh. You rock for doing a triathalon! I think this post was everything that you apologized for it not being. Like Hollywood, I prefer to call it “based on a true story”.